Since marijuana was legalized in Washington D.C. there has been a huge drop in marijuana-related arrests. Aside from the medical benefits of marijuana use, some supporters have argued that marijuana legalization will reduce the number of people incarcerated for non-violent crimes. Since marijuana was legalized in Washington D.C. marijuana related arrests are down—way down! It has been 1 year since residents of the nation’s capital voted to end marijuana prohibition in The District. Now that police cannot arrest individuals for possession of marijuana, there has been almost a 100% decrease in the rate of marijuana arrests. In 2014, D.C. police arrested 895 people for marijuana-related offenses. So far in 2015, there have been only 7 arrests—a 99.4% reduction. The unique laws in Washington D.C. are what keep people away from jail time. 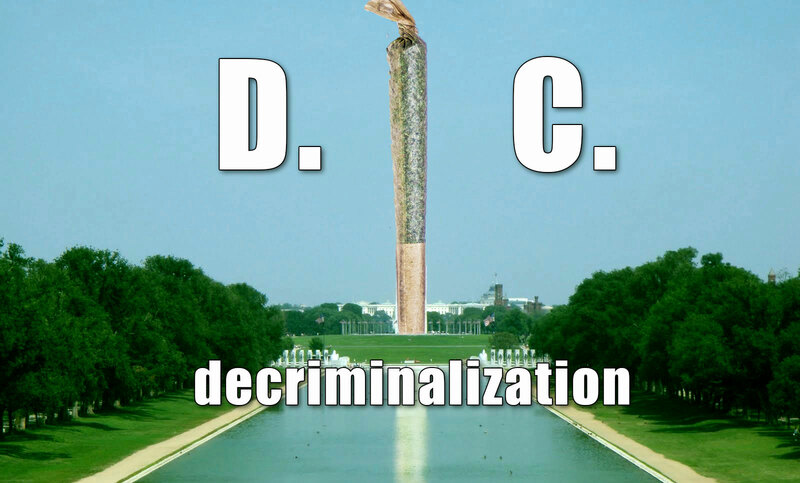 Currently, marijuana cultivation, use, and possession are “de-penalized” in D.C. Citizens are allowed to possess up to 2 ounces of marijuana, and they are allowed to cultivate the plants in their home. Currently, there are no dispensaries in D.C., forcing people to learn to grow their own stuff, or find a friend who can. Another interesting regulation in D.C. is that marijuana users are strictly prohibited from consuming marijuana outside of their homes. States like Colorado and Washington often turn a blind eye to the casual cannabis user who sits quietly in a park “cheefing” on his green. But in D.C., mayor Muriel E. Bowser has promised to shut down any business or commercial building that allows marijuana consumption. Many D.C. residents are upset about the limits on where they can consume marijuana. However, with arrests down 99.4% year over year, it would seem as though people are happy to just be able to possess and consume marijuana. In my opinion, I would rather smoke at home, than say push the limits in public spaces to ultimately find myself in the clink. Marijuana and the outdoors certainly go hand in hand, but D.C. residents need to ask themselves if they are being realistic. We are talking about the nation’s capital here—the foundation of our federal government. Marijuana is not federally legal, but you can smoke it within minutes of The Capital Building, where legislation is made (if you live that close). Take a moment and reflect on the fact that just 1 year ago, marijuana was not legal in the district—now smoke your weed and be appreciative of the fact that you are not breaking the law! If you want to smoke your marijuana outside, but you live in D.C., go for a hike in the Shenandoah Valley, take a boat out on the Potomac River, or jump on a plane and head for the Rockies in Colorado. Sooner or later, marijuana use will be allowed just about everywhere—at that point, do you really see yourself smoking up at the Lincoln Memorial? Marijuana arrests are down in D.C.—is that enough? Let us know what you think on social media.